I decided that I needed the Rimmel Scandaleyes Eyeshadow Paint in Rich Russet after it was mentioned in a Lily Pebbles and Vivianna Does Makeup collaboration video. Although I have enough eyeshadow shades that fall into the neutrals category, I don't have anything in my stash quite like this as a product. For £4.99 you have an eyeshadow that you do basically "paint" on, as it has a long spatula type applicator for applying the product directly onto the lid. I assumed it was a liquid formula as it's quite wet, however Rimmel say it's a cream formula. 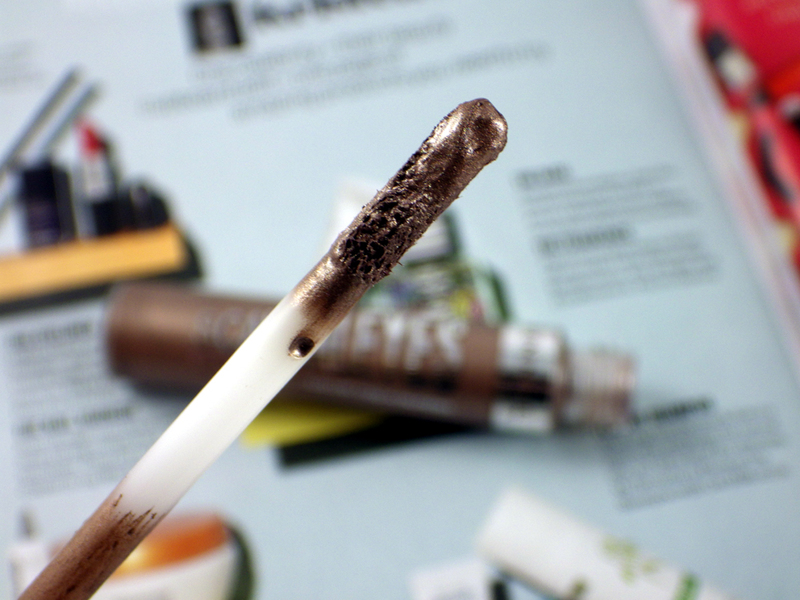 I swipe the applicator across the middle of my lid and then blend it out with my fingers. 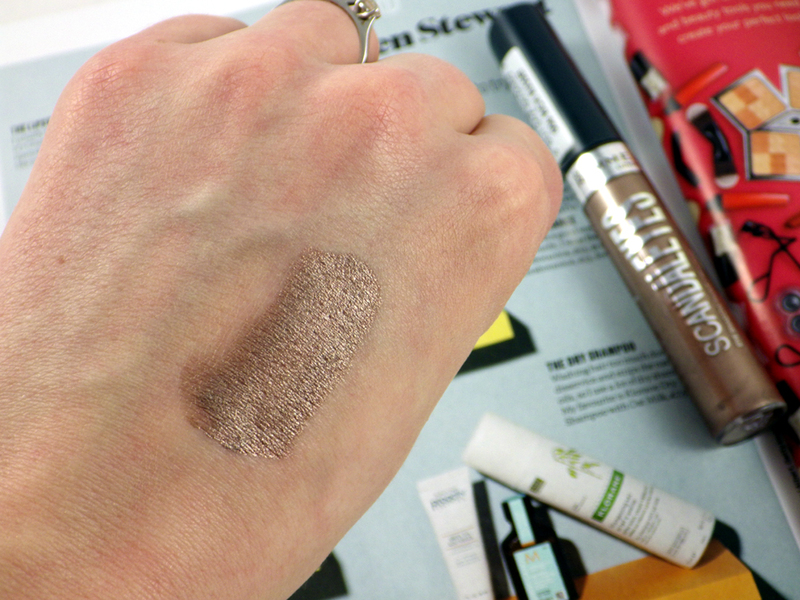 The eyeshadow dries very quickly, so you don't want to hang around with this one! The Rimmel Scandaleyes Eyeshadow Paint also applies and blends really well with a suitable eyeshadow brush - I use the Becca Extra Small Polishing Brush 55. The shade Rich Russet is just a beautiful, sparkling, bronze-brown shade. 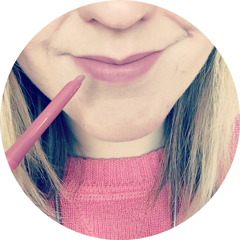 It's extremely pigmented but as mentioned, it can be blended out easily enough before it dries, which makes it more sheer, then built up on top if you want the colour stronger. The wear time is approximately 6 hours without a primer and 8 hours with a primer before the colour begins to fade, with no creasing in sight. There are four other shades in the range (Golden Bronze, Slate Grey, Mercury Silver and Manganese Purple) but Rich Russet is personally my favourite of the bunch. I highly recommend giving these a swatch and adding one to your own eyeshadow stash - I can't stop reaching for my Rimmel Scandaleyes Eyeshadow Paint right now! I'd love to see some more shades added to the range in the future. 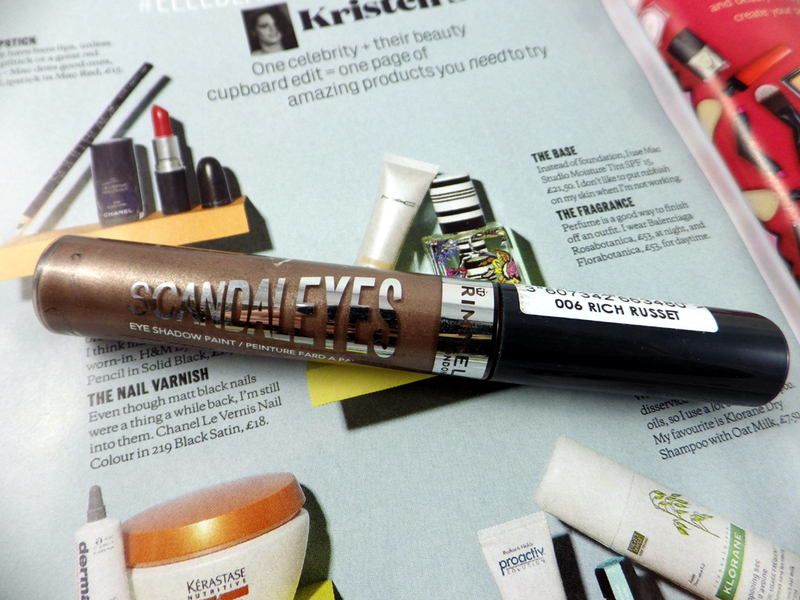 Have you tried any of the Rimmel Scandaleyes Eyeshadow Paints? I love colours like this!! These look so good - I really wanna try some of the crazier colours!